The Bartenders Association of Ireland (BAI) was founded in 1972 to promote the bartending professional and to facilitate further training and networking opportunities. 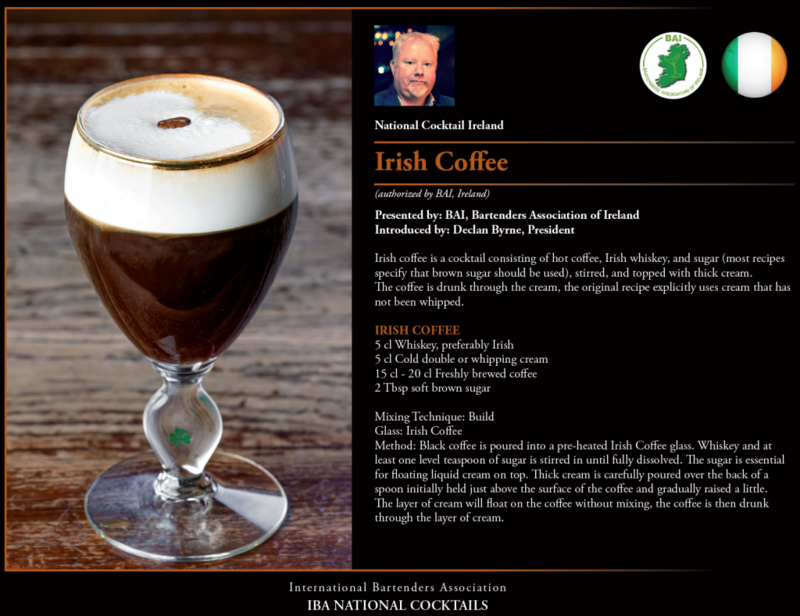 The BAI is affiliated to the International Bartenders Association (IBA) who meet annually for their International Congress which include the World Cocktail Competitions (WCC), both classic & flair style. By becoming a member, you are giving yourself the best opportunity to meet, socialise, compete and gain access to further knowledge about your career. Once you become a member you'll embark on a journey that will increase your bartending knowledge, with a special emphasis on cocktails which is sure to raise your profile. Membership costs €50 per annum. We meet approximately every quarter, during the year. At these meetings, members exchange ideas and discuss past and future events and competitions. Meetings offer existing members a chance to introduce new members to our bartenders' network. The biggest advantages of being a member of the BAI is the opportunity to compete at the World Cocktail Competition(s), to network and learn from other bartenders. Membership will assist you raise your profile as a modern professional bartender. Membership will offer you the chance to win some of the most sought after accolades available for bartenders in Ireland, it's up to you to take that chance. The BAI is not a union or lobby group and does not get involved in labour relations disputes.